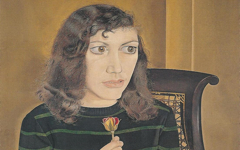 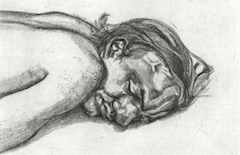 See how Lucian Freud hid his key meaning in plain sight. 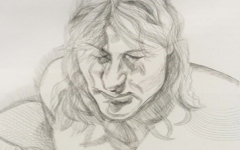 Lucian Freud (1922-2011) was one of the few recent artists on the same level as the earlier masters discussed on this site. 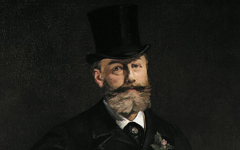 He was not only well aware that every painter paints himself, often remarking that all painting is autobiography, but he was also a superb craftsman. 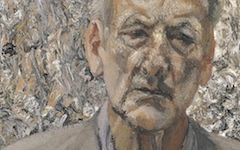 He and Francis Bacon dominated painting in post-war England and he became in later years an international phenomenon and one of the wealthiest artists of all time. 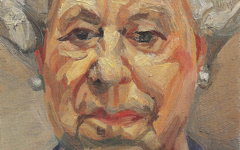 All images below are the copyright of the artist's estate and cannot be used without permission for commercial purposes.